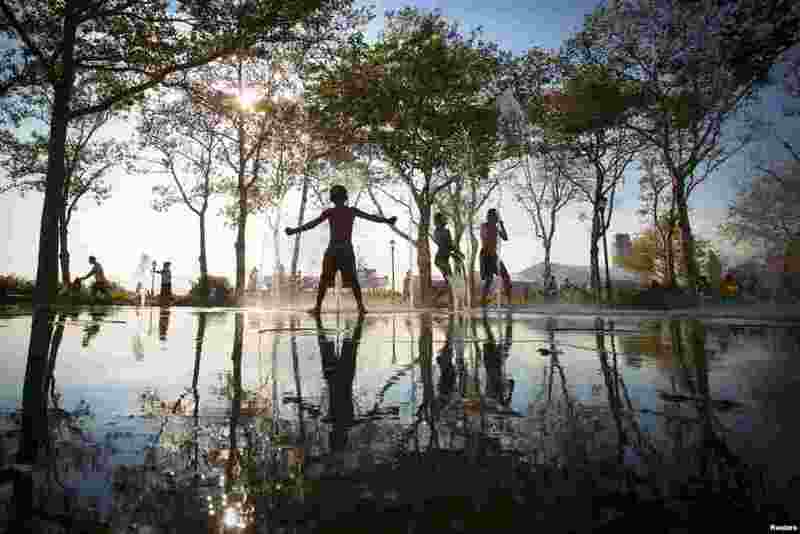 5 Children play in a fountain in the late afternoon sun in the Lower Manhattan borough of New York, Aug. 25, 2014. 6 In this photo released today shows the sun emitting a mid-level solar flare, peaking at 8:16 a.m. EDT on Aug. 24, 2014. 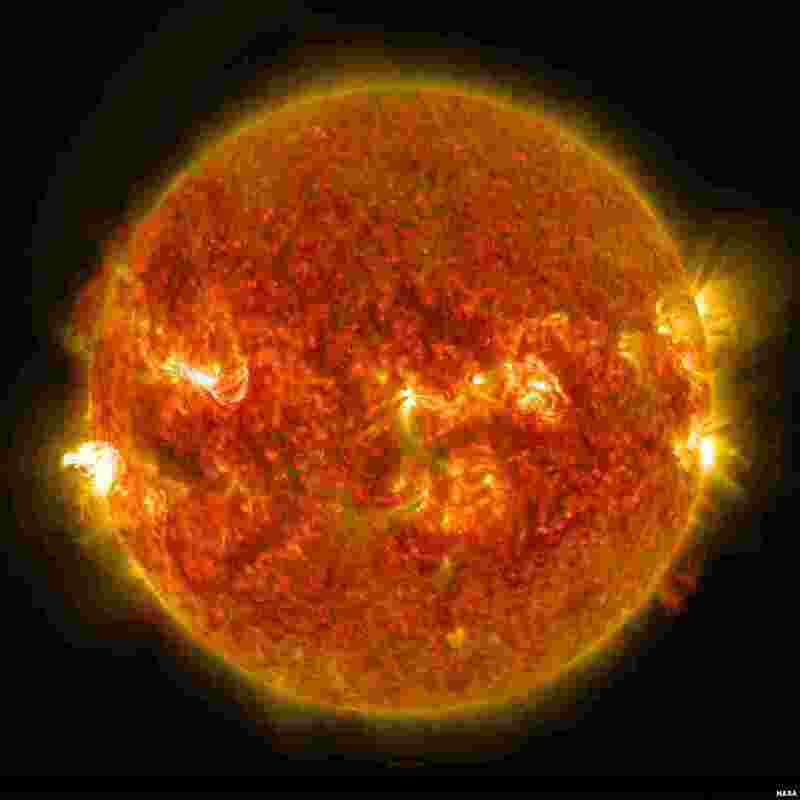 NASA's Solar Dynamics Observatory captured images of the flare, which erupted on the left side of the sun. 7 Uzbekistan's Shakhodat Djullibaeva (L) and Egypt's Habiba Ismail grapple during their women's freestyle 52 kg qualification match at the 2014 Nanjing Youth Olympic Games in Nanjing, Jiangsu province, China. 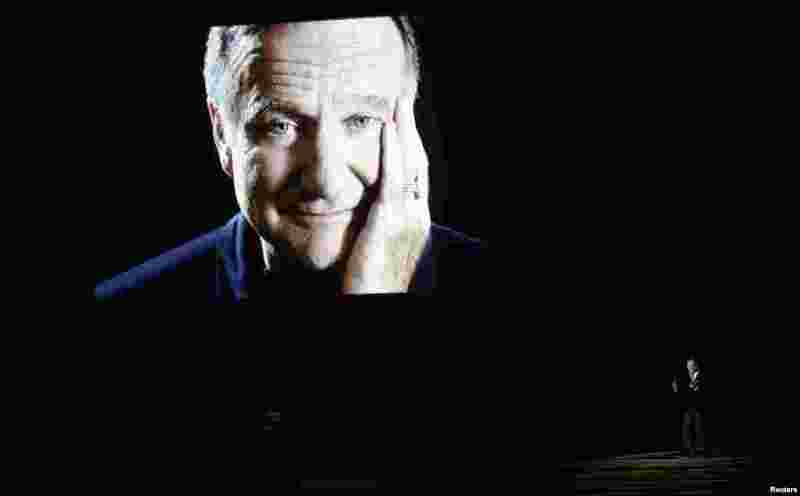 8 Billy Crystal takes the stage to pay tribute to the late Robin Williams during the 66th Primetime Emmy Awards in Los Angeles, California, Aug. 25, 2014.